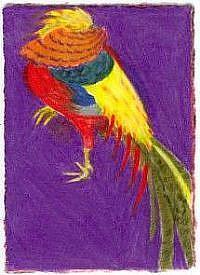 My second " rip " of Diana Mae Potts Golden Pheasant series. 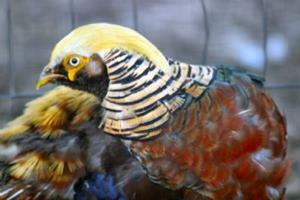 This image was also captured in Lancaster County and inspired by Diana's beautiful series of drawings of the Golden Pheasant. After spending some time with these colorful birds, I can understand Diana's fascination with these lovely birds. 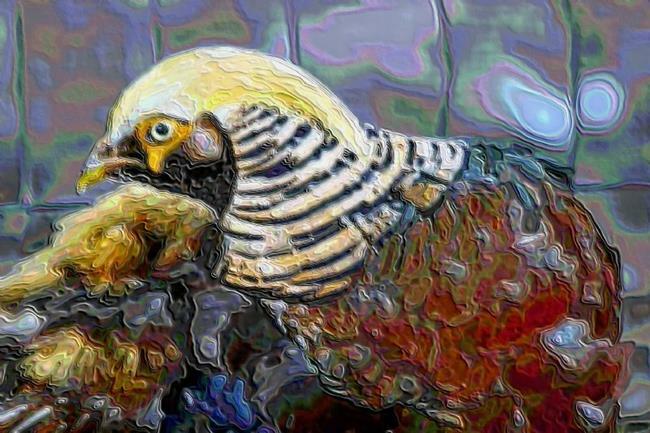 While I was pleased with the original images I had captured of these birds, they lacked the iridescent quality that their feathers shown in direct sunlight. So I spent some time with Paint Shop Pro 8 until I was satisfied with the final results you see here.